Manchester City, Manchester United and Chelsea are all of the Premier League clubs that have enjoyed going through a perfect start of the season as each one of them have claimed 3 victories out of their 3 opening matches. Chelsea’s Antonio Conte has recently talked about the great start that he and his team has been experiencing and how he has accomplished this task. “It’s always important to score one more goal than your opponent, but to keep a clean sheet is also important for the confidence of the whole team. When you keep a clean sheet, the whole team works very well, not only the defenders. When we concede a goal, all of the team concedes a goal. ‘’I want to work with my players to improve them and to put them in the best condition. It’s important to keep the last season in our mind, when there is a difficult situation it is important to look behind to find new strength to go forward. We have started the season in the right way.’’ Chelsea’s Antonio Conte said. Among the many footballers who ended their career at their heights is Paulo Ferreira. 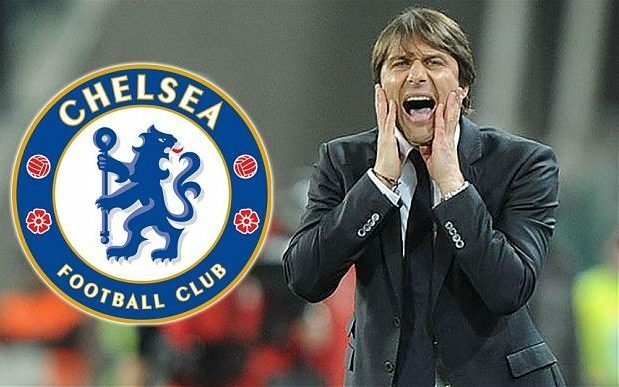 He had played nine seasons with the Chelsea club and helped the club to win three trophies in the Premier League during his tenure. He ended his professional career in football in 2012-13. Fans of the club still hold him close to their hearts. He was a dedicated member of the club and did not complain even if he was not given opportunities to play as the first team always. The genuine love that he portrayed for the club is hard to find these days among the modern professional players. It quite befitted the honor that he received in 2014 to be an ambassador for the club. He took up the role of helping out at the Digicel Kick-start Academy that offers training grounds for young players in the Caribbean. He is now on the verge of becoming a fully fledged coach as he serves the role of an assistant technical coach in the youth development program of Chelsea. If you have not heard or seen him up close, you would not know that he is a soft spoken, pleasant man who was known as a defender in the Chelsea team. Many people often wonder what made him stick to the Blues for nearly a decade, whereas people have moved and changed teams so often. He had been part of the UEFA Champions League in 2004 after which he followed teaming mates like Ricardo Carvalho and Jose Mourinho to join the Chelsea club. At that time the deal that was struck was about twenty million Euros. Even if he did fall out of favor at times, he remained a loyal servant of the club and gave his all for the defense that he played. The year the contract was not renewed with him was the year he decided to stop playing as well. However, he has been given due honor as ambassador of the club now. Paulo Ferreira was a member of the Porto team that won the Champions League in 2004 and ultimately makes the move to Chelsea in 2004. He was one of the first players that Jose Mourinho signed when he took charge of Chelsea. The Portuguese defender quickly established himself as an important member of the team even if he was not always sure of starting a game. Jose Mourinho described him as the type of player that will never win a man-of-the-match award but rather as a consistent and hardworking player. It is this quality that will allow him to stay for more than 9 years at Stamford Bridge. 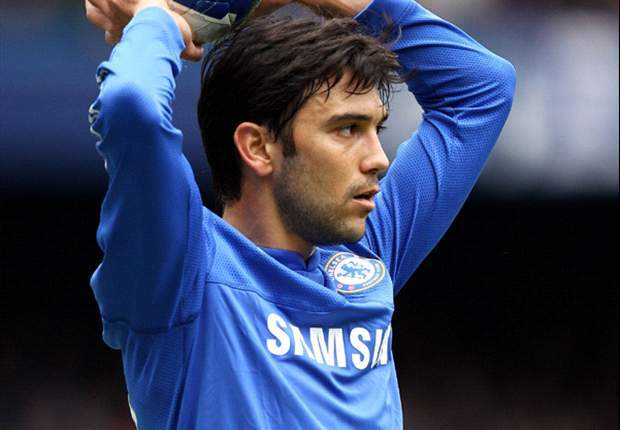 Former Chelsea player, Paulo Ferreira has been named among the most successful players of the English Premier League by The Sun. The 37-year old right-back played for EPL giant, Chelsea after moving from FC Porto for 20 million Euros in 2004. The computation employed data that comprised of games won, games played and percentage of win. In the top ten, the list included former Chelsea skipper Arjen Robben in first place, Paulo Ferreira in second place, followed by Claude Makelele. Former Red Devils captain, Nemanja Vidic was next, then another Blues former player, Michael Ballack. Ricardo Cavalho was next with 70 percent win. Javi Garcia was next after Cavalho with same 70 percent win but less wins. Edu was next, and then Frenchman Patrice Evra before Ivorian Didier Drogba completed the list. A few weeks ago IkerCasillas was released from Real Madrid as he joined the Portuguese side Porto after penning a 2 year long deal. This switch ended the relationship that Casillas had with Real Madrid which extended for over 24 years. Even though IkerCasillas was offloaded away from his childhood club, the coach of the Spanish national side Vicente del Bosque has stepped up and supported IkerCasillas as the coach said that the experienced goal-keeper will continue to play a big role with his country in the international stage. Spain is positioned in the 2nd spot of Group C and so far IkerCasillas has been the main man in between the sticks as he has played in almost all the group stages matches of the 2016 Euro’s. Spain’s Vicente del Bosque said: “He had worse moments last season and played almost every match for Spain hasn’t caused any problems and has been a great servant to the national team”. The start of this new Premier League season has not been a good one for Jose Mourinho and his team as they have sustained a draw and a defeat in their opening 3 matches of the season which is a hugely underwhelming way to kick-off a season, especially if your task is to defend the league title. Before the 2014-15 Premier League had even kicked off, Jose Mourinho released a statement and the Portuguese coach said that Chelsea is not going to need as many points to win the Premier League title compared to the previous season. Jose Mourinho helped Chelsea secure their 5th Premier League title as the Portuguese coach pushed the team to what was a very impressive season for Chelsea where they managed to stay at the top of the top tier English league for the vast majority of the entire season. 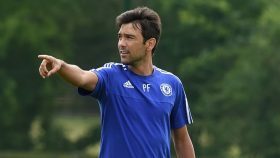 Paulo Ferreira spent a little over 8 years of his playing career performing for Chelsea and has worked alongside Jose Mourinho both on and off of the pitch; Ferreira took the chance to express his thoughts and point of view concerning Mourinho who is considered to be a controversial person.